The Fuller Center for Housing in Webster Parish is gearing up to build new houses and improve lives this fall in Minden, La., during the third annual Millard Fuller Legacy Build. The project will take place Oct. 17-21 in Legacy Acres, a brand new 5.6-acre subdivision created for the build and named in honor of the Fuller Center for Housing’s founder, who died in 2009. Hundreds of volunteers from around the country will convene here to construct eight new homes and renovate eight more. This local effort is the hub of a global undertaking by international and U.S. Fuller Center Covenant Partners to build 100 homes in a week. Although the numbers and scope of the project are impressive, the real reason for the week of building is the people behind the projects, and their stories. Ronnie Reamer, who has lived in Minden for more than 50 years in a home that used to belong to his grandparents, is just one example. Reamer works at a local fast food restaurant and is the main caretaker for his brother William (also known as Smiley), who was in a serious car accident 20 years ago that left him with permanent injuries. The Reamer brothers will have their house renovated during the Legacy Build. The project will include new windows, a new roof and a remodeled bathroom. “It’s going to be a whole remodel, and I am eternally grateful for it,” Reamer said. “This is the home I was actually raised in so I’ve been here in this particular home from birth,” he told local news station KTAL 6. Reamer said he’s particularly excited about the bathroom renovation. “… the bathroom is very, very old just like the house is, so they’re going to knock that completely down and renovate the whole bathroom,” he said. Allan Combs and his family, who will also have their home renovated during the week of the blitz build, are also looking forward to much-needed repairs on their home. Combs is the main caretaker for his wife, who suffered a stroke last year, and their granddaughter, whose mother – the Combs’ daughter – died two days after giving birth. Almost four years ago, the Combs’ home caught on fire. While the family was safe, the home had damages, most of which were not covered by insurance. The Combs have lived with the problems caused by the fire ever since. But all of that will change this fall during the Legacy Build, when The Fuller Center plans to install a new wheelchair ramp, bathroom and flooring repairs. “This is such a blessing to our family,” Allan said. Yvette Morris, a Fuller Center homeowner candidate, is a disabled mother of two boys – 15-year-old O’Shea and 12-year-old Sa’Kari. 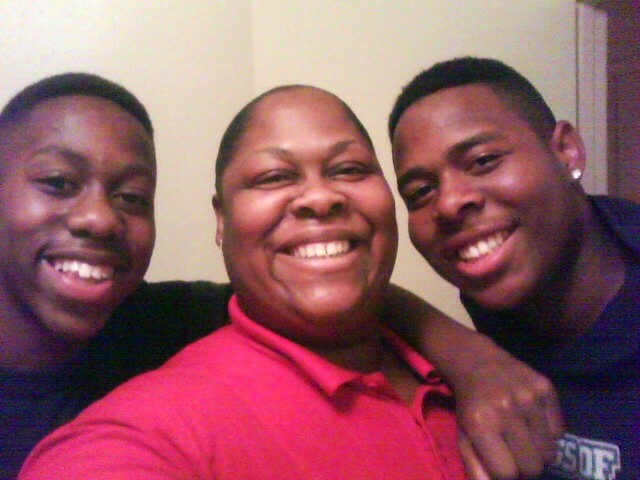 Until recently, Yvette and her sons have been living with her mother. When that situation changed, they landed in temporary housing, which they hope will last until their new house is completed at the end of Millard Fuller Legacy Build 2011. "It means a lot to me because some of the things I’m not able to do … the help just means a lot," Yvette said. 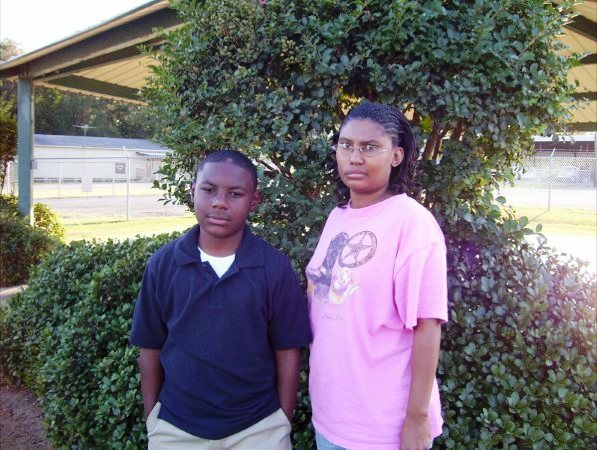 Kimberly Jackson and her son, 11-year-old son Desmond, live in a mobile home that needs considerable repair. When she didn’t receive assistance from the owner of the mobile home, Kimberly jumped at the chance to apply for a Fuller Center for Housing home. "It means getting a stable home for me and my son. If it wasn’t for The Fuller Center I would not have this opportunity," Kimberly said. But before these waiting families are helped, Park said the event still needs many more volunteers in order for them to accomplish their goals. "With somewhere between 250 to 300 volunteers coming to Minden to help us build these houses, we will need almost that many additional volunteers to handle the behind the scenes tasks," stated Park. "We will be facing requirements like feeding and lodging all the visiting volunteers, transportation, medical, family support, devotionals, entertainment, and a host of other phases that will be crucial to the success of this event." Hallelujah! We feel Millard’s spirit with us as we push forward to get ready for the 3rd Annual MFLB.